After Japan was hit with a devastating earthquake in March 2011, the Pacific nation was rocked by a massive tsunami that destroyed thousands of coastal houses, cars and boats and swept millions of tons of debris out into the ocean. Now, it looks like some of that debris could be approaching North America. 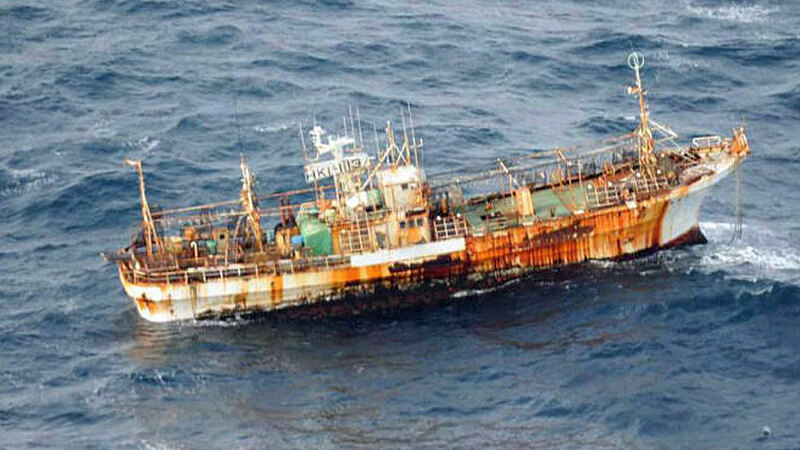 Last week, a unmanned boat identified as a Japanese fishing vessel was spotted off the coast of Canada, indicating that after more than a year, some of that debris could still be on its way to American and Canadian shores. The ghost ship was spotted by members of Canada’s Department of National Defence about 150 nautical miles south of the Queen Charlotte Islands, which are located off of mainland British Columbia. After the 2011 tsunami, the Japanese government estimated that roughly 5 million tons of debris had been swept into the ocean, but that about 70 percent of it sank off the coast of Japan. That leaves about 1.5 million tons of debris that could be floating around the Pacific Ocean, and possibly heading to the shores of North America. But according to NOAA, the debris is no longer in a “debris field,” and is instead scattered across a large area in the North Pacific. If a rusty boat that has been adrift for more than a year can make it all the way to British Columbia, it seems possible that other debris could make it as well. 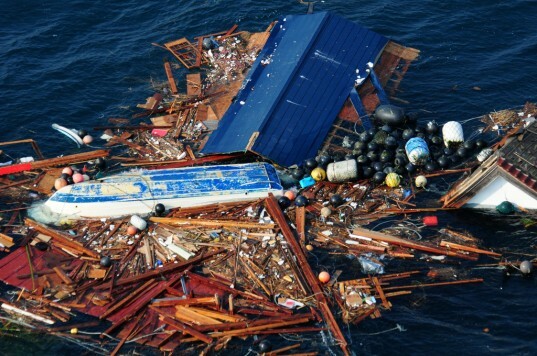 “The early indication is that things sitting higher up on the water could potentially move across the Pacific Ocean quicker than we had originally thought,” Nancy Wallace, director of NOAA’s Marine Debris Program, told Reuters.